Q: Has a Book of Mormon been to space? 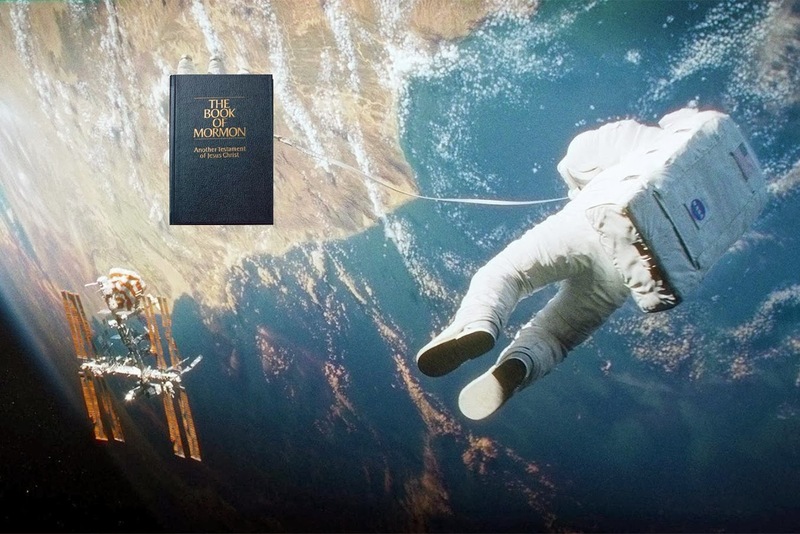 A: The first copy of the Book of Mormon to go into outer space was carried aboard the space shuttle Discovery on April 12, 1985, when Senator Jake Garn (R-Utah) launched into orbit. When astronaut Don Lind took his trip in the space shuttle on April 29, 1985, he also carried with him his scriptures. That particular copy of the Book of Mormon has the distinction of traveling 2,511,592 miles through space during 110 orbits around the earth. Brother Lind donated the scriptures to the church where they were put on display at the Church museum. Q: What was the first non-scripture endorsement from General Conference pulpit? A: President David O. McKay stood up during October 1959 General Conference and warned the Saints of the dark powers rising among the nations of the world, and that most people had no idea such works were underway. He recommended all LDS read The Naked Communist, by W. Cleon Skousen. He repeated his plea at a subsequent General Conference. Q: Were Book of Mormons found in the rubble of September 11th? A: An Episcopal priest helping with the cleanup at ground zero of the destroyed World Trade Center buildings also collected dozens of Bibles and other sacred books from amidst the smoldering rubble. Among the items found was a copy of the Book of Mormon, smelling of burnt plastic but still in pretty good shape. The book most likely belonged to one of the hundreds of LDS who escaped the buildings before their collapse. Three Mormons died in the attack - two in one of the planes that hit the buildings, and another who was on the 108th floor of Tower 1. Q: When was the quickest reading of the Book of Mormon? A: In 1989, more than 700 Laurels and priests from nine stakes met for a regional conference in Lethbridge, Alberta, Canada. Each person was given a number and a page out of the Book of Mormon, had to find another youth with the same number, and then read to one another the page each had been given. As a group, the entire Book of Mormon was read in 11 minutes and 30 seconds.